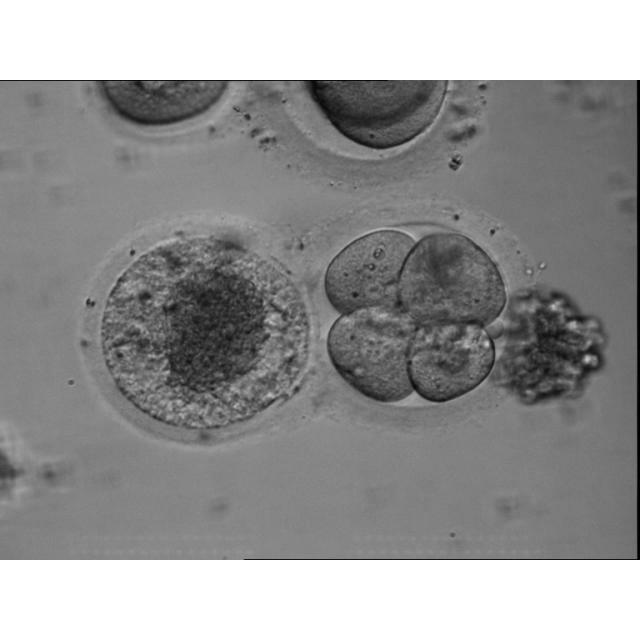 Image shows a 2PN human day 1 zygote conjoined with an immature oocyte, both of which were originally drived from a mature and an immature oocyte respectively. 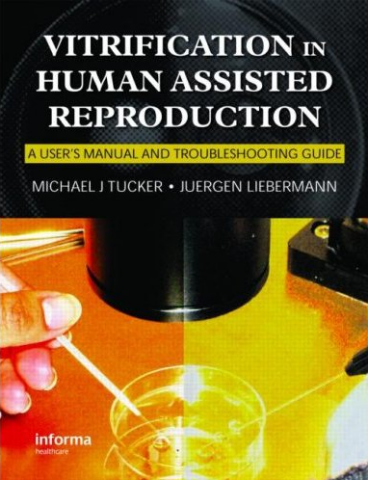 The mature oocyte was fertilized by IVF. 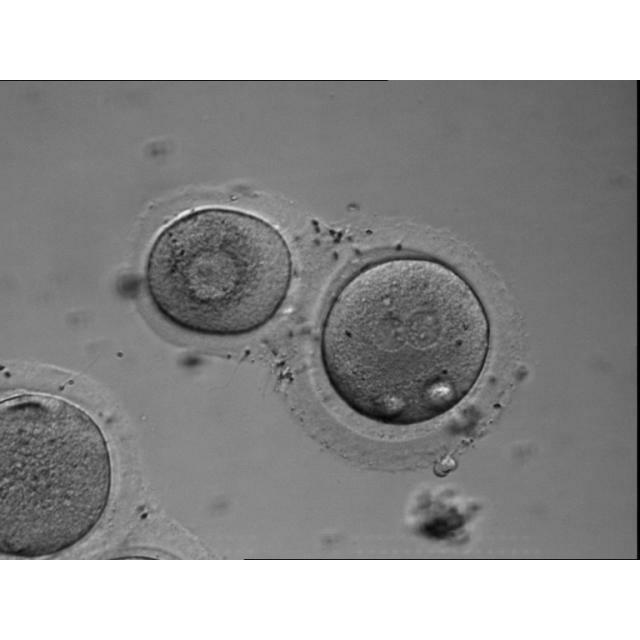 Image shows a 4-cell human day 2 embryo conjoined with an immature oocyte, both of which were originally drived from a mature and an immature oocyte respectively. 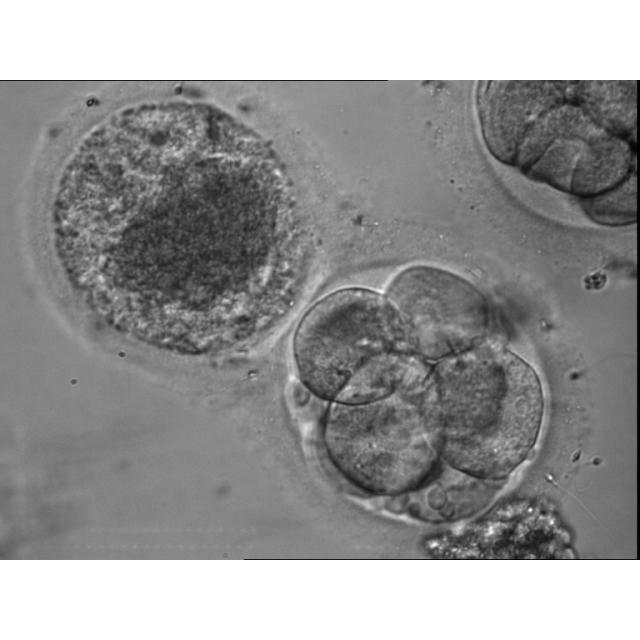 The mature oocyte was fertilized by IVF and cleaved to 4-cell stage. 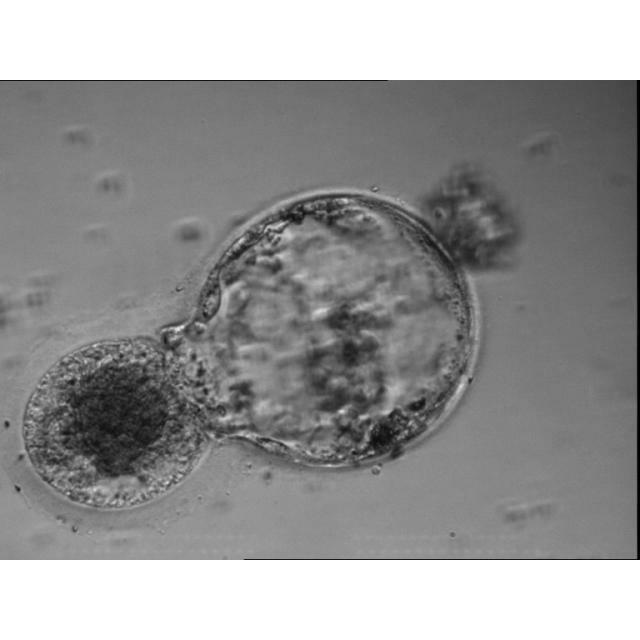 Image shows a human blastocyst conjoined with immature oocyte, both of which were originally drived from immature and mature oocyte. The mature oocyte was fertilized by IVF and cleaved to 4-cell stage then to 6-cell stage and finally to blastocyst stage. While the GV stage oocyte underwent maturity arrest and subsequently degenerated.